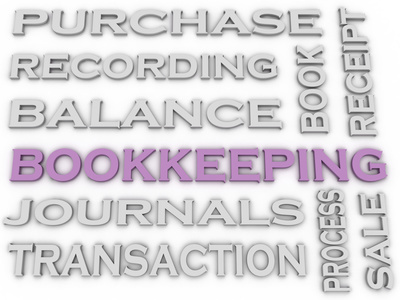 I am currently working with a bookkeeper who is helping us to change to QuickBooks Non-Profit. Our board is wondering why we are depreciating the assets when we are a non-profit and don't claim it on a tax return as well as if we need to depreciate at all or if we can expense the item straight away. Your help and any links to requirements in this area would be great. Also, if we are required to depreciate, where would I find out the best methodology to do so? Does QuickBooks do this for you? Comments for Can you capitalize as fixed assets major repairs and maintenance expense? You could probably begin capitalizing fix assets, but as a tax exempt non-profit institution using cash basis accounting I cannot understand why you would choose to do that. Seems to me that you will just be making your accounting work more difficult. Our church handles expenditures for major repairs the same way you have described and we don't plan to begin capitalizing those expenses. As a volunteer treasurer, I certainly don't support adding the complexities that would be required if such expenses were being capitalized. Major repairs and maintenance expense items such as new air conditioning units, flooring, new roof etc. are items which add value to your building or property. By capitalizing them, you are recording and tracking the items which add to the total value and can reduce any capital gains upon sale (if this pertains to your situation). We upgraded our sound system. The cost is significant is many ways, but not when it comes to e.g., the assets that a bank would be consider in a business (church) loan. Sound system is 1.05% of fixed assets when accounted for in GAAP -- in street value, at best, probably .5% of fixed. Church is run on QuickBooks Cash-based accounting, we are a church so no 990 or any type of tax return, what is purpose of adding small assets such as these as assets and then depreciating when IRS / GAAP accounting standards are irrelevant? (Only standards that I understand need to be upheld are the ones the church council dictates). If think it should still be added as asset and then depreciated, then next questions is if church books are cash basis, audited by converting into Accrual then using GAAS/GAAP standards, and Council Treasurer states NOT to add deprecation expenses into QuickBooks because they are not real cash expenses, how do they ever expensed? Is a new roof for a parsonage considered a capital expense for a church? Disclaimer. I am an Engineer not an Accountant. but I am also currently my churches Treasurer. I my opinion, if the Church holds the deed to the Parsonage, then any major repairs (like a roof) would be considered capital. My reading of other accounting literature does not like the term 'Capital', because it is vague in nature. The term 'Fixed Assets' seems to be more acceptable. I am helping a church with their processes and am trying to figure out the best journal entry for the purchase of a fixed asset when the church uses Fund Accounting. The church does not recognize depreciation, so what is on their books now is the cost of all of their capitalized assets. What is the best way to account for the purchased assets when using fund accounting? First, there may have been no depreciation recorded for fixed assets on church's book because accounting rules were not followed. As the new accountant for the church, you will have to correct the book for then. Depreciation is a way to systematically write off wear and tear of the asset over the years. For instance, you will not expect a vehicle that was bought 10 years ago, and being driven around, to still have the same value. 7-year depreciation schedule would have taken it to $0 book value by now.